dermo had the most liked content! Happy New Year U2 Family What a great year U2 gave us in 2018. I was lucky enough to see them in Vegas, Madrid Manchester, Dublin and Berlin. 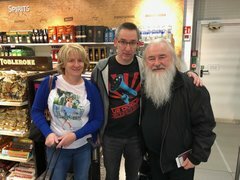 To top it off I met Joe O Herlihy in the airport in Berlin after the 13th November show. 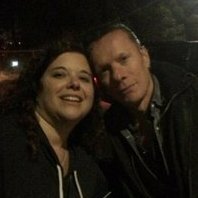 A true gent who had time for a chat and a photo with everyone who approached him, so a seacial thank you and happy new year goes out to Joe. I will start this by saying I am genuinely gutted for those who were at Berlin 2 and cannot make the rescheduled show. My circumstances mean it would be possible for me to make the rescheduled show, I just need a ticket or tickets! My question relates to the possibility of tickets being put on sale again through the official channels and the Mods may be the most likely ones who could help with it. Is there any way at this stage that we can ascertain what kind of numbers of tickets are being returned for refund and if there is likely to be an on sale date announced? I know some fans have already sold or exchanged tickets but the numbers have seemed quite low so far. It will be interesting to see what kind of reaction there is in some of the English press if/when they fly the EU flag in England. They have gone to town on our Taoiseach (Prime Minister) for daring to represent Irelands interests. https://blog.ticketmaster.ie/latest-news/were-shutting-down-seatwave-8125 This looks like good news. Madrid up first for me, then Manchester and finally Dublin x 4. With a bit of look might squeeze in another. As its now August 1st in Berlin we can say that the European leg starts this month. Yippeeee!!! Just as you maintain that your rant was not specifically directed at me, my comment certainly wasn't an attack on you or your point and I apologise if I gave that impression. The problem with these forums is sometimes comments can be interpreted differently than intended and cause offence on all sides, so to engage now in a back and forth of I said you said would be futile. Excuse me and 'some people' for being so stupid. Actually no don't excuse me because it's not being stupid. This is a forum in which we interact about a band that I don't think it's too far fetched to say we all like. A big part of that interaction often involves speculation. I would class this topic as speculative and I expressed my opinion on it but I won't be losing sleep over it tonight because I have much more important things in my life to lose sleep over if I want to. You too of course are entitled to express your opinion, but I feel its was unnecessary for you to turn it into a 'rant'. Rant over ! I must say having originally been in favour of the idea trilogy of albums I am now leaning towards preferring something new. Take a year or so off when the current tour ends, come back with some new fresh ideas if possible and put on a stripped back show. I agree doctornickriviera. 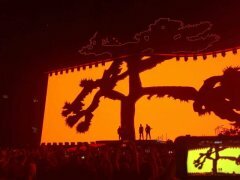 What I would like to see is U2 ditching Live Nation/Ticketmaster/Seatwave/Guy O Seary at the end of the current contract and bring it all back home. To me it often feels like they have sold out us fans to some extent with this contract. Having said that I still can't tun my back on them. Yes I have to agree with you the Live Nation deal has not been good for fans. On a rational level it's hard top disagree with your points but with regards to U2 rationality probably goes out the door for most of us on here! Opportunities to see the band in this this kind of setting are few and far enough between so I am just expressing my, and probably some others, disappointment at not being able to enter the draw. While it is a Sirius XM event, I find it hard to believe that they would dictate to the band to this extent as to who they can give their own assignment of tickets to. In any event I am aware of at least one UK radio station competition that was giving away tickets to it. Hopefully they will put on something similar when thy come home. Dublin would be fine but The National Opera House in Wexford (Snow Patrol played there recently so its not totally beyond the realms of possibility .... is it?!) would be really good for me.